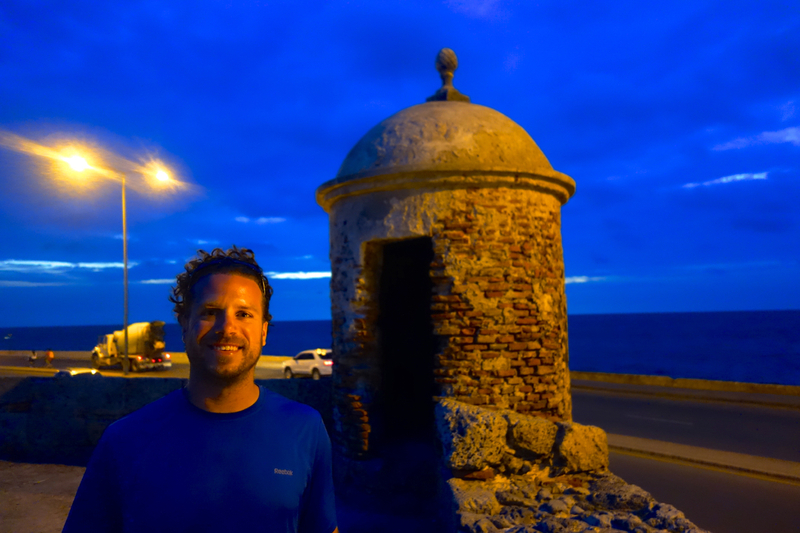 Cartagena was AMAZING- once I acclimated to the heat and humidity, and was okay with sweating as soon as I walked out the door, it was all good. There is SO much to see and do in the city, well beyond the history and shopping within the city walls- it‘s no wonder it is one of the major tourist ports in all the Caribbean. 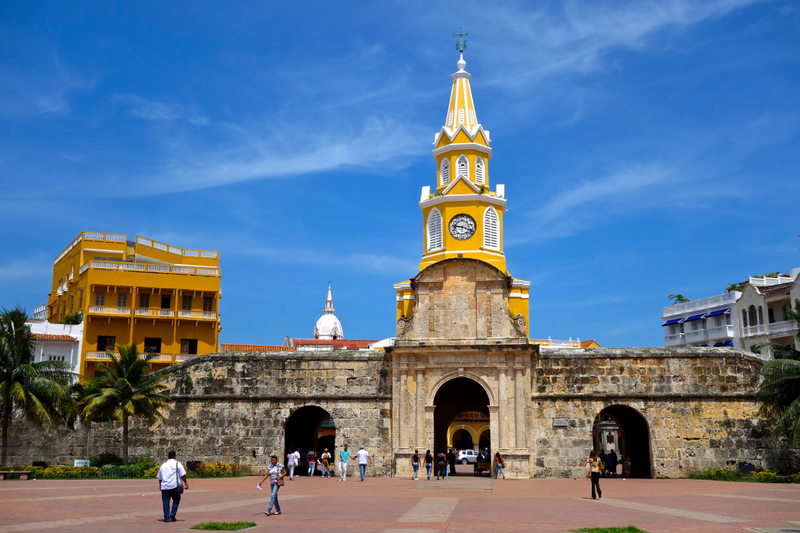 I spent my few days in Cartagena wandering around the Old City, marveling at the ancient walls and the winding narrow alleys. 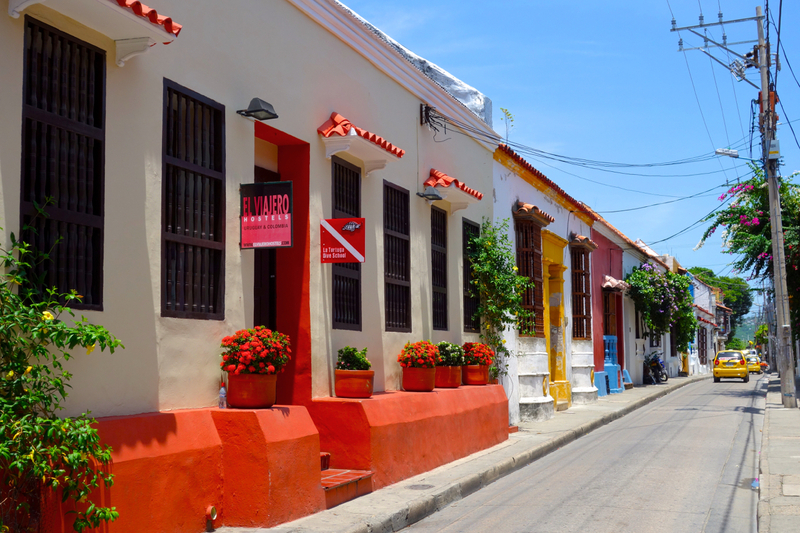 In Cartagena, one is never short of photo opportunities, with every corner bringing something interesting to see. Flowered balconies, crumbling churches, hidden city squares full of fountains and statues- it really is an incredible place just to walk around in. To get my bearings, I ventured out on the Big Red Bus- the stereotypical tourist bus that can be found in any and every tourist destination in the world. I’ve been on several in the past, and have found that while they can be a bit cliché, they are a great way to familiarize oneself with a new city, and they also require very little effort. Sit, listen, snap a photo here and there… A great way to actually do some sight seeing, even while still battling the lingering effects of jetlag. 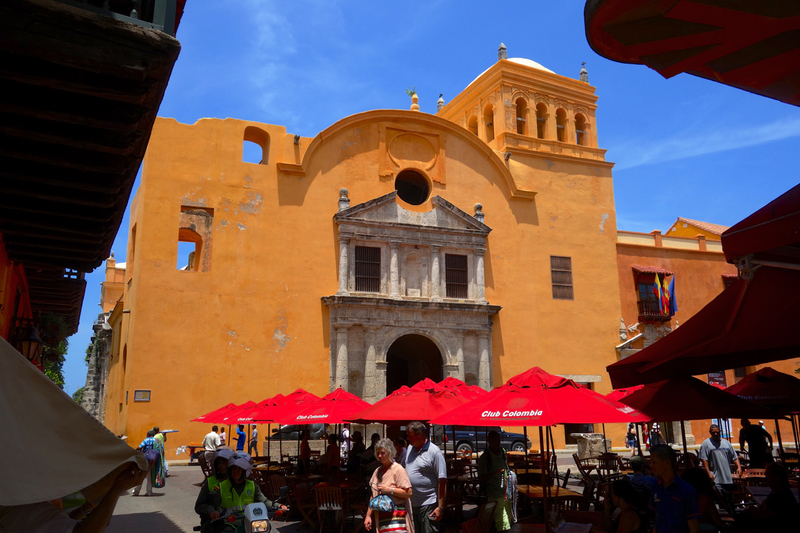 The open-air, double-decker bus in Cartagena was exactly what I hoped it to be- an informative tour of the Old City and some of the more modern surrounds- parts of the city I probably wouldn’t have seen otherwise. I explored the modern area of Bocagrande, with its high-rise hotels and fancy shopping district. The bus passed through the suburbs of Mangos and Getsemaní- two other corners of the city I surely would’ve missed. Along with the ticket came a walking tour through the Old City, complete with a local guide pointing out landmarks and famous churches seemingly on every corner. 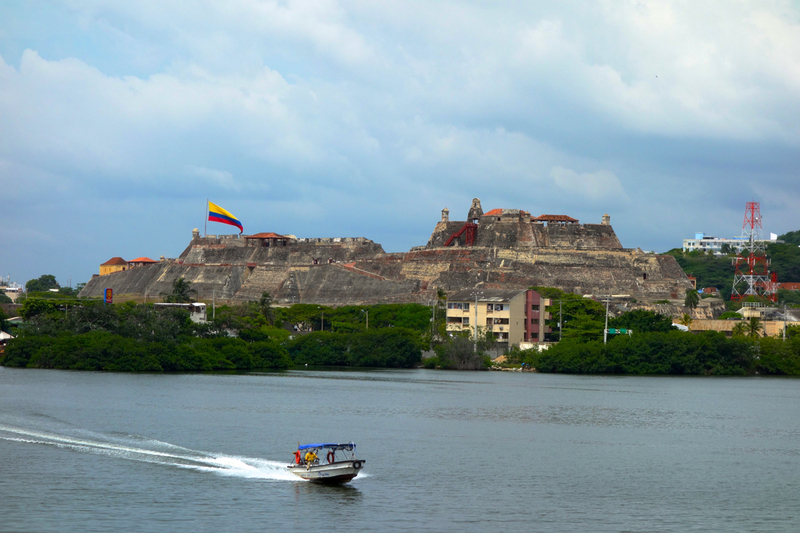 On my final day in Cartagena, I explored the massive Castillo de San Filipe de Barajas- the enormous fort built to protect the city from pirates and invaders during Cartagena’s rich colonial times. It is INCREDIBLE- a HUGE fortress, with battlements and firing lines set out to make it virtually impenetrable. The audio guide brought the castle to life, allowing me to envision the English and French troops advancing amidst the roar of cannons and the spitting of rifle fire, while the Spanish soldiers defiantly defended the city from behind the castle walls. 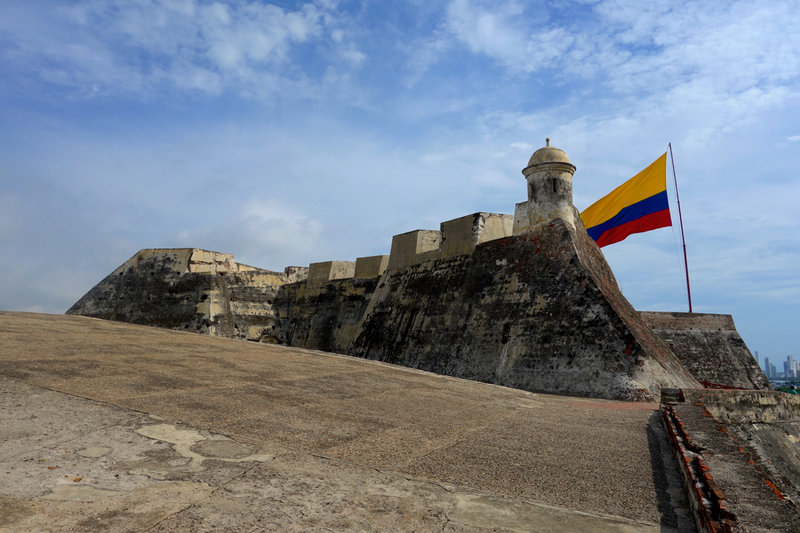 The fort is in remarkable shape, with countless passages and tunnels descending into its bowels- an intricate network designed for defense and reinforcement. Very impressive, and an afternoon well spent.